Blissful 4-day stay in Bhutan gives you ample opportunity to soak up the cultural and natural beauties of Bhutan that uniquely set it apart from other countries. Paro beckons you with promises of breathtaking natural sights, cultural richness and good accommodation; you can view Mount Chomolhari from Drugyel dzong, capture Paro's incredible landscapes from Ta-Dzong and visit indigenous hospital art & craft school, National library, Royal goldsmith workshop and handicraft centers. 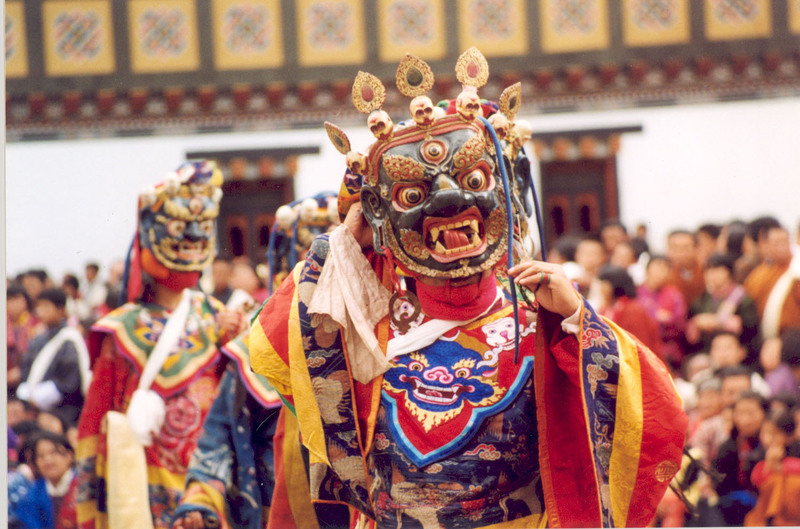 Thimpu remains synonymous to its colorful festivals, legendary monasteries and coveted cultural sites. You can stroll around the local markets and see for yourself the every day lives of Bhutanese people and their craftsmanship. At the end of the journey, you will be left with a feeling that you have truly seen the real Bhutan up close. Day 04 - Transfer to airport for departure. Arrive by Druk air BAe 146-100 series, the only national carrier. The flight offers you beautiful view of mountains and landscapes. On arrival and after visa formalities you will be received by Our members and transfer to Kichu Resort. If time permit sightseeing can be arranged. Evening stroll around the market. Paro Sightseeing - visit the ruined fortress of Drugyel dzong which still attracts visitors due to the strategic location of the fort. The fort defended the Paro valley from the Tibetan invasion from the north in the early 17th century. On clear weather Mount Chomolhari 7320 meters can be seen towering over the dzong. Proceed through the beautiful valley to the watch tower or locally known as Ta-Dzong. It was housed into the National museum in the 1960s by the third King Jigme Dorji Wangchuck. The seven floors museum highlights various aspects of Bhutanese culture and history dating back to the 7th century. A short walk downhill to the Rinpung Dzong which serves as the administrative center and school for monks. Late after noon drive to Thimphu( 65 Kms) and will take 2 hours. Evening free time. Overnight at Hotel Druk or River view. In morning Thimphu sightseeing - visit the Memorial chorten built in the memory of the late King Jigme Dorji Wangchuck, 15 century Changangkha monastery and the new Drupthob nunnery temple. PM drive back to Paro via visiting the first building built in Bhutan the Simtokha Dzong. It now houses the Buddhist university. Arrive Paro. Evening at leisure. Overnight at Kichu Resort. Transfer to airport and the guide will help you with the formalities for final departure. Contact us at info@nirvanatrekking.com for more information about this tour.